Metro Transit Police spent Tuesday morning at one Metro station handing out bike locks in an effort to reduce the number of bike thefts at the region's Metro stations. Officers gave the U-locks to any bicyclists who registered their bikes with the department during the event at the College Park Metro station. Police say U-lock are sturdier than conventional locks and are a better theft deterrent. Bicyclist Henry McGlade knows the pain of a stolen bike. "I went to an Orioles game, came home to Greenbelt, got a ride home...and it was gone, just gone," McGlade said. 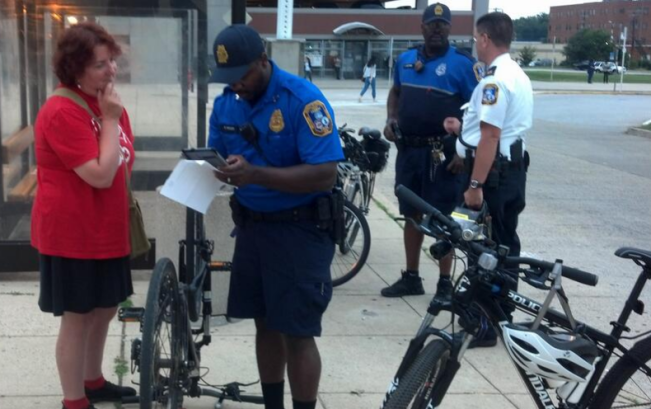 Metro Transit Police are tackling bike thefts with a giveaway Tuesday morning. 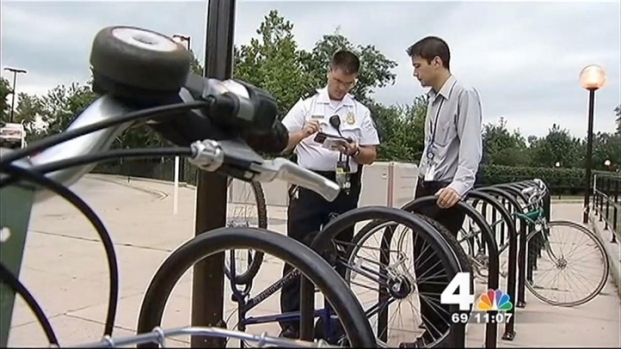 According to Metro Transit Police, bike thefts are on the rise. Last year, 330 bikes were reported stolen, and 246 have been snatched so far this year. "We've had, as of last week, 121 bike thefts just in District 1 so far this year, which is an unusually large number," said Metro Transit Police Capt. Brian Heanue. Officers are doing undercover surveillance around Metro bike stands and sometimes use decoy bikes. But they add riders must do their part. Lock your bike to an authorized Metro station bike rack. Consider using two locks to lock both the front wheel and frame, and rear wheel and frame. Keep a copy of your bike's serial number. Hide your name and phone number inside the bike's frame. Take your seat with you when you leave. Metro will also invest in "Bike and Ride" facilities, where cyclists can leave their bikes in a secure location. The transit agency hopes to add seven such station to the system. If you can't make it to Tuesday's event, you can always register your bike online. Click here for details.